How welcoming is too welcoming? 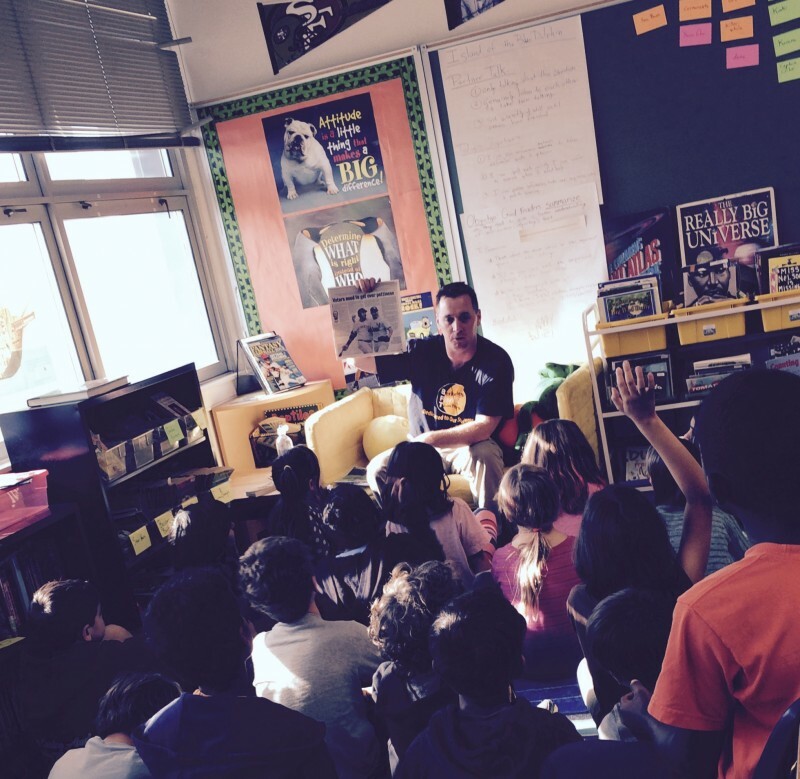 Some Berkeley parents wonder if their school district is too nice to outsiders. How welcoming is too welcoming? It’s a question parents and educators in left-leaning Berkeley are reluctantly grappling with. Across California, which has some of the most economically and racially segregated schools in the country, well-off school districts are taking increasingly austere measures to keep out students whose parents they think are lying to escape the poor-performing schools they are zoned for. Up until now, Berkeley, a city of 117,000, has refused to follow suit, resisting some of the more controversial measures. It does not hire private investigators, make late-night “bed checks,” lodge fines or threaten to call the district attorney’s office, all common practices in other parts of the state and in some of the other top-performing school districts it borders. This summer, the school board in Beverly Hills enacted a measure that would fine families $150 a day if they had forged leases or electricity bills to get their children into the city’s top-rated schools. Officials with the Fremont Union High School District in the Silicon Valley area boast on their website that they have “disenrolled” more than 800 students who have sought entry with falsified documents. And in Orinda, a well-to-do enclave in northern California, the case of a 7-year-old daughter of a local childcare provider made national headlines when it was discovered that school district officials, thinking she lived elsewhere, hired a private detective to investigate. It was later discovered that she actually lived near the school. Berkeley, known for its mix of aging hippies and middle-aged hipsters, has resisted these aggressive approaches, turning what many here say is “a blind eye” to students attending its schools illicitly. But now the city is in the throes of a population boom, with school overcrowding that is sending more kids into portable classrooms and parents into debates with each other over who belongs. The school district’s unspoken philosophy — that outsiders, particularly ones with poor options elsewhere, ought to be let in, when possible — may be shifting, as parents who might have been minimally concerned in the past are questioning if the school district is being vigilant enough in its monitoring process. School board members are reluctant to talk about the issue. And district officials insist that they are not lax on perpetrators. The school district’s public information officer, Mark Coplan, says the district has done much to make sure its 9,700-plus students are legally in schools, keeping an eye out for incoming students who may be seeking slots with improper paperwork. This year, according to Superintendent Donald Evans, the district has verified the residency of more than 400 students, most of them incoming students and turned away 76. Most of them were seeking enrollment with fake addresses. But on The Berkeley Parents Network, an online message board, one parent once described the district’s laissez-faire position as an “unwritten moral code.” And an elementary school teacher, who did not want to be named, recently said that when confronted with students she believed were fleeing poor-performing districts, she has been resistant to take action that could send them back. Berkeley has long been a coveted school district, with residents paying a generous parcel tax to fund small classroom sizes and provide art programs and well-equipped school libraries, among other things. In 2013, the percentage of Berkeley High School students scoring at or above grade level on California’s math and reading exams exceeded the state average. And the district wide graduation rate was also above the state average. According to the state education department, in 2013, 85.5 percent of the city’s high school students graduated within four years, compared to 80.4 percent statewide. 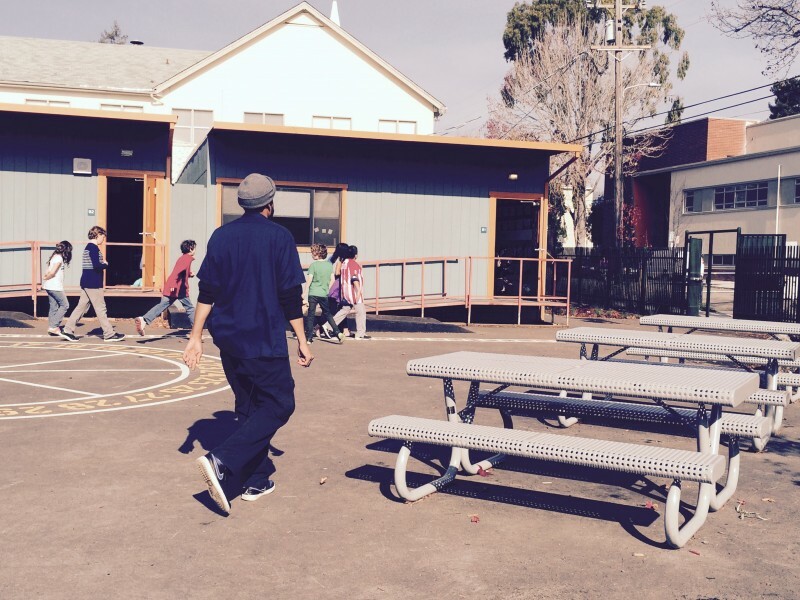 But as Berkeley’s public school population grows and its elementary schools tackle district overcrowding — using more portable classrooms, overextending staff and crowding play yards — some parents are beginning to question the status quo. Berkeley’s population has risen from 102,743 in 2000 to 116,768 in 2013, according to the United States Census Bureau. And a demographic study recently commissioned by the district found that between this year and 2018, 250 new students are scheduled to enter district elementary schools. Some of the overcrowding is due to a new state mandate that requires districts to provide schooling for students whose birthdays are just shy of the kindergarten cut-off. But newcomers who are flocking to the popular city — many of them well-off tech entrepreneurs — are also the cause. Karen Chapple, a professor of city and regional planning at the University of California at Berkeley, says these newcomers often arrive with “a different ethos,” at least at first. And that may be one of the reasons that there is more push in the city to crack down on students from other towns. He and other parents say the district ignores the problem, allowing both rich and poor families who don’t live in the district to find their way in and stay, while other districts work hard to keep them out. Ask parents how many students they think are here fraudulently, and they offer differing figures. Some site a study by a former graduate student at the Goldman School of Public Policy, University of California at Berkeley, who was then seeking a Master in Public Policy degree. Now ten years old, the study used, among other indicators, U.S. Census data, private school enrollment numbers, district enrollment numbers, and an analysis of parent phone numbers to estimate that between 8-12 percent of the district students at the time were here unofficially. But parents who have joined an anonymous group called Berkeley Accountable Schools Project cite U.S. census figures, and estimates of private school enrollment figures, and contend that the number of students enrolled from out of district at Berkeley High School, alone, could be between 16 and 40 percent. Dina Tasini, the mother of a freshman at Berkeley High School, says she believes district fraud is widespread. She says she is often surprised by the number of children who are driven after sports practices to homes outside of the district. Parent volunteers say letters home often go to addresses out of the district and parents say it is not uncommon on soccer fields and at cocktail parties to hear their peers boast about the ways they have finagled the system to get their kids into Berkeley’s schools. District officials dispute the high estimates of fraudulent cases, but without an official count, it is impossible, everyone says, to know for sure. In nearby Albany and Palo Alto, parents are required to provide property tax bills or leases. (In Albany, a homeowner’s insurance policy is also acceptable.) Both cities also require additional proof, like electricity and heating bills with a parent’s name. In Berkeley, parents need to provide three documents verifying in-district addresses such as paycheck stubs, cable bills, and driver’s licenses. But the district does not use mortgages or leases as proof. The goal of the policy is to allow families who may have moved back in with parents or are sharing homes with other families to enroll their children in school, even if their names are not on official housing documents. Other nearby school districts require all parents to sign a proof of residency affidavit, in which they acknowledge that they understand that if they have produced any false documents they may be turned over to the district attorney’s office for perjury. Berkeley does not require families who say they live in the district to sign affidavits. Some districts have schedules of fines on the books for parents who have been found to be lying. Others have full-time compliance officers or private investigators who are called in to spy on families suspected of lying. Still others have hotlines in which parents are encouraged to rat on their children’s’ classmates if they suspect they are out of district and enrolled falsely. But in Berkeley, district officials say they work hard to make sure that parents who can rightfully enroll their children are not too intimidated to do so. And district officials say parents who see kids living out of the district may incorrectly assume they are in the schools fraudulently. “They may not be aware of the number of children here with legitimate transfers,” said Natasha Beery, a spokesperson for the school district. Indeed, in a recently completed study, the district estimated that nearly 1,200 students do come from out of the district, legally. More than 600 do so through interdistrict transfers, which allow students zoned for other school districts to petition their district and Berkeley to permit them to attend a Berkeley school. Acceptance is decided on a case-by-case basis. Close to 170 of these students come because their parents are school district employees. More than 500 are here through the McKinney-Vento Homeless Education Assistance Act, a federal law that requires schools to provide assistance to homeless students. Dozens are children living with grandparents or aunts and uncles, who have filed caregiver authorization affidavits with the district. Berkeley’s population boom is a relatively new phenomenon. In the 1970s, the city’s population dwindled as young families seeking homes and more greenery moved to neighboring suburbs. But in recent years, housing prices have skyrocketed across the bay in San Francisco and in the tony Silicon Valley communities that now house the nation’s tech giants. As a result, Berkeley has become a hotspot for young middle-class families. Home prices have risen here, too. And Berkeley’s diverse classrooms (which one parent recently described on a Berkley parenting site as “mini United Nations”) have become increasingly alluring to parents, particularly in the last decade or so. Berkeley was one of the first school districts in the country to desegregate and it did so voluntarily. Today, the elementary school admissions process is a part choice/part assignment system, in which district officials assign students to schools within their attendance zone to ensure racially and economically mixed classrooms, with partial consideration paid to how parents rank the schools on their admissions applications. For many parents, that policy is one of the district’s biggest selling points. “For me, it’s a gift to my son that he goes to a school where his best friends don’t look anything like him,” said Amanda Sabin, the mother of a third-grader at the school. This winter, to help squash some of the concern about overcrowding and fraudulent enrollment, Evans, the superintendent, posted a note on the district’s website about the overcrowding issue. Evans said the district would be instituting a program where fifth-graders applying to middle school would need to verify their addresses as part of their application process. The district would also be looking into policies in neighboring districts. At least some parents hope that the note means Evans will look but not necessarily copy what he is seeing in other places. Pulich says she thinks some of the attention paid to out-of-district families has to do with her city’s changing demographics. Should wealthy towns be able to secede from higher-poverty, higher-minority school districts? This article is very insightful. We are experiencing the same type if issue in Glendale California. More specifically Glendale Unified School District. We live 1 block from a school which does not accept any other 3rd graders because they are full and thus my daughter needs to attend another school which is at the border of the city - extremely frustrating and inconvenient. I have suspicions that some of the children attending are not from the Glendale Area, only registered under someone else's address. 1. We cant do anything about it. 2. We have a robust verification process. 3. If you know of anyone doing this, tell us and we will kick them out of the school.